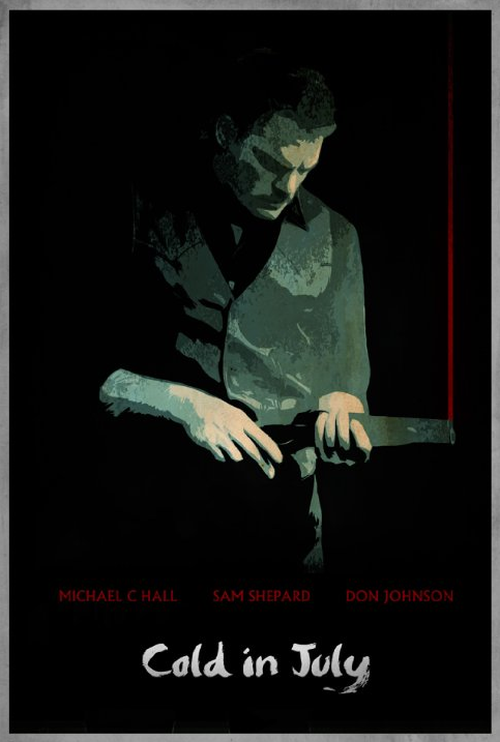 Here's an official poster from Michael C. Hall's new film 'Cold In July', which is scheduled to get release date soon. The film is a slice of Southern-fried noir, a throwback dramatic thriller set in 1989, that follows a small town man whose life is changed when he kills a burglar who breaks into his home. However, it turns out the man he killed is the son of a fearsome convict, recently released from prison, and he’ll have to protect his family from the ex-con seeking revenge.